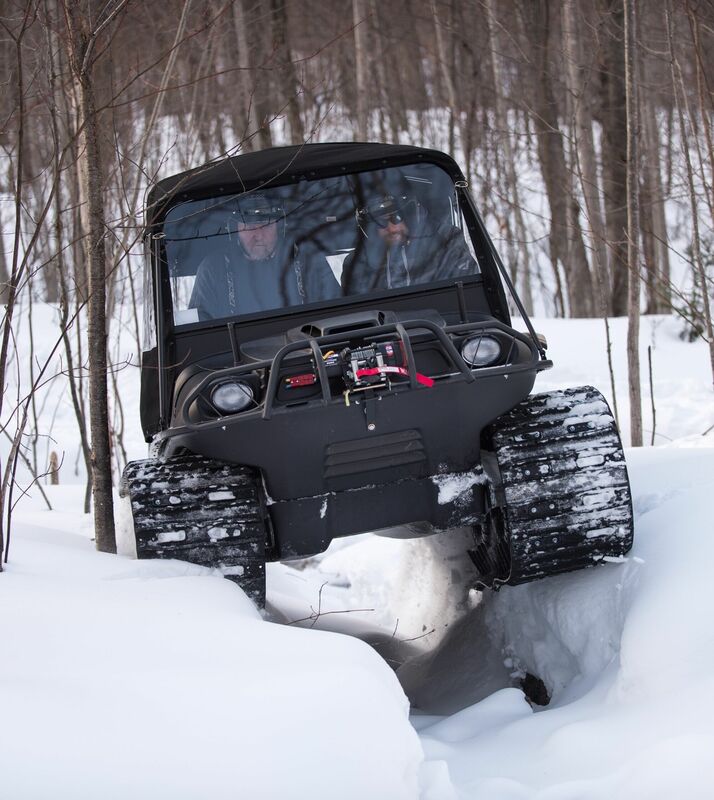 High performance 4-cycle, Twin cylinder, OHV, low-vibration engines deliver clean, dependable power for your Frontier in all seasons. Available 18HP-26HP Twin Cylinder Fan Cooled Engines. The Classic transmission operates like a mechanical skid steer that gives it incredible maneuverability. Our least complex design, in order to provide vehicle steering, braking force is applied directly to the output of the appropriate side of the transmission based on the operator steering input. In both high and low range, the Classic Transmission provides a zero-radius turns to get you in and around extreme terrain. Available in Classic High Torque or Standard. Steel Offset Rims with low-pressure 24” tires are custom engineered with a paddle design for amphibious propulsion through water and optimized traction on the most extreme off-road terrain. Pulling power for when you need it most. 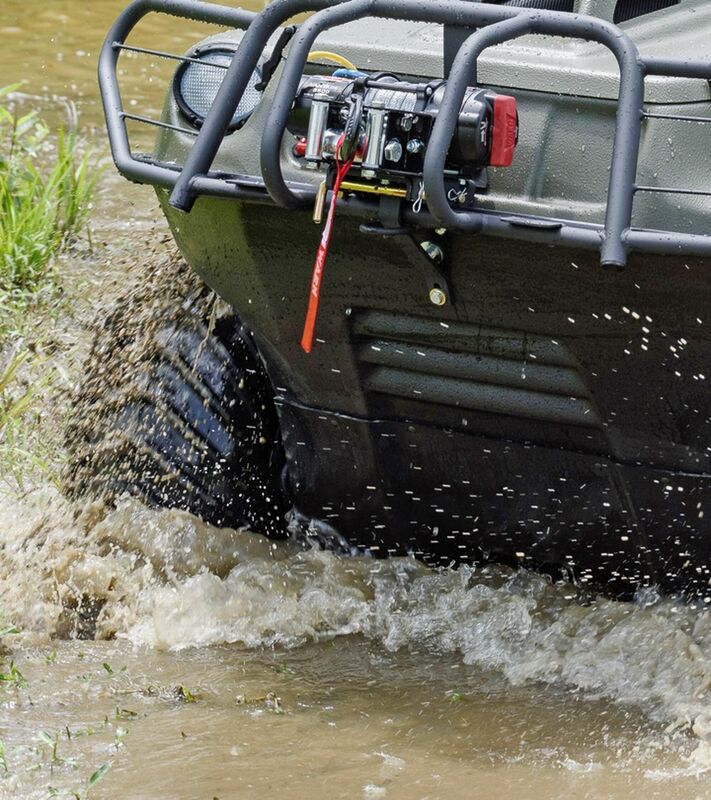 ARGO’s Warn winch mounts on the front to assist with high-angle extractions of equipment or debris. 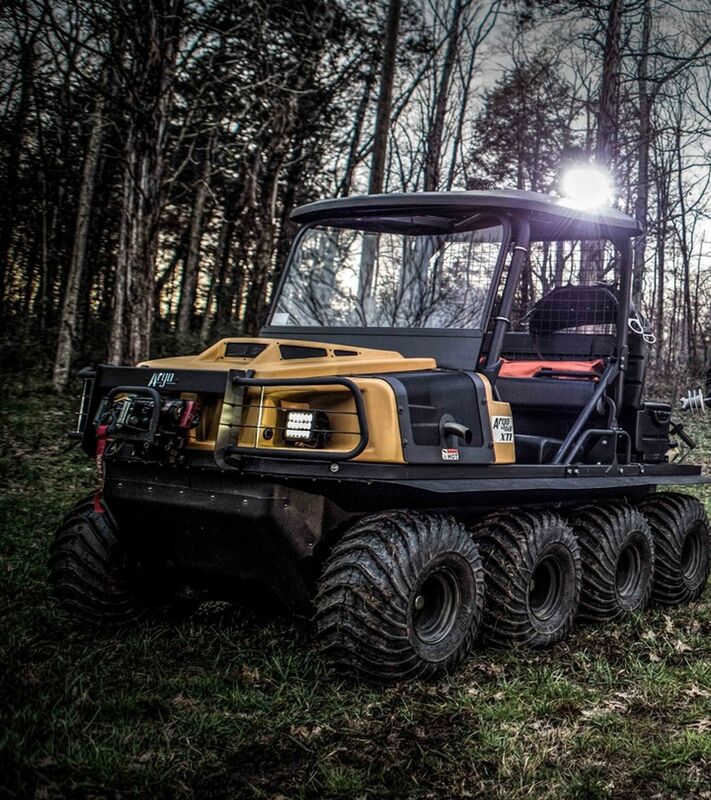 Available for each Frontier model as an genuine ARGO accessory with 3,500 lb. capacity.